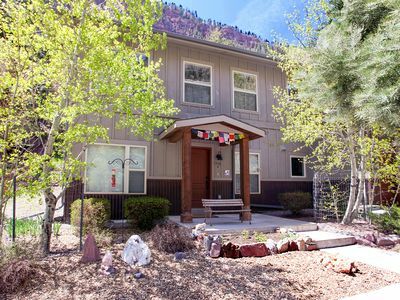 This beautiful newly remodeled spacious 3 bedroom home has all of the comforts of a home-away-from-home here in the mountains. 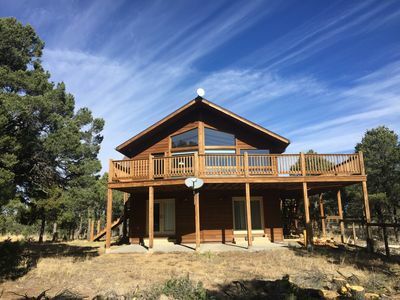 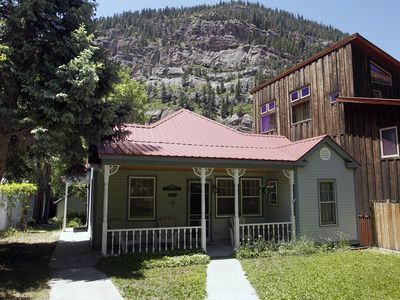 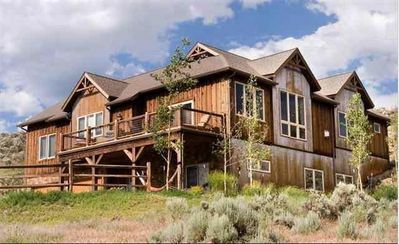 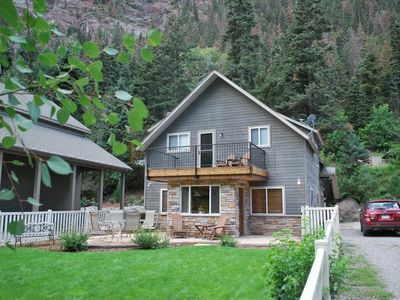 Located on the lush tree lined river road, the home is right across the street from the Uncompahgre River Walk Loop which leads to the Ouray Town Park, the historic Ouray Hot Springs and Fitness Center, & Ouray’s Main Street District. 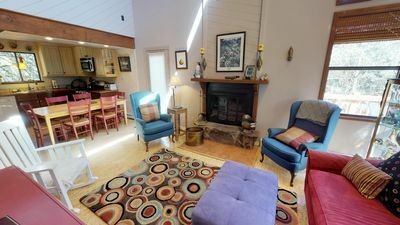 Decorated throughout with artwork, the home has 3 bedrooms & 2.5 baths with a spacious main living area located on the ground floor with a full size sleeper sofa. 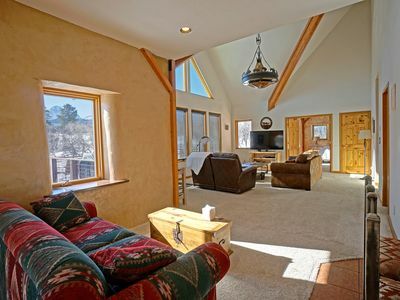 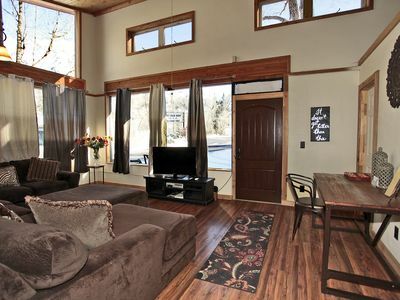 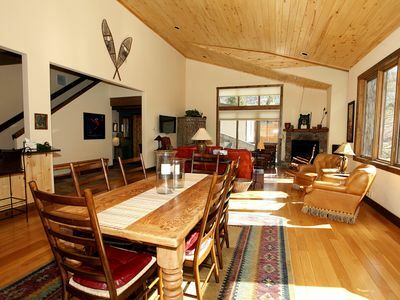 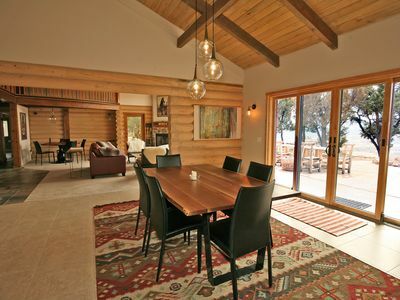 The living area also has a new 52" flat screen TV with surround sound system for curling up on Ouray’s cold winter nights with a movie in the cozy warmth provided by a wood pellet stove. 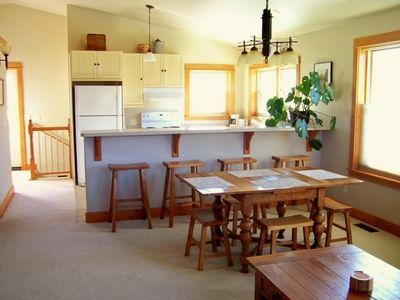 The fully stocked modern kitchen has new appliances & a breakfast bar for your morning coffee or tea before you set off on your outdoor adventure. 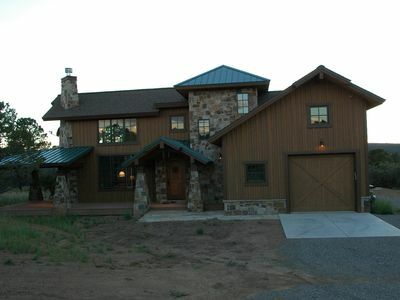 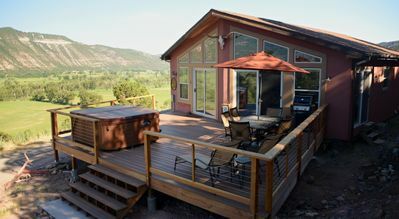 The master bedroom features a king bed with plush bedding, vaulted ceilings, a private bathroom & a private deck with views of the Ouray river valley & the surrounding mountains. 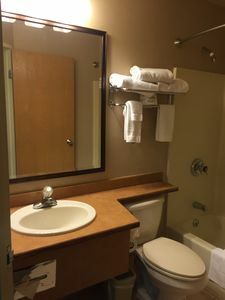 The second bedroom has a queen bed & a second bath right across the hall with tub/shower combination. 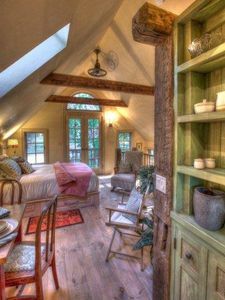 The third bedroom also has a queen bed & a workspace for catching up on emails & social media. 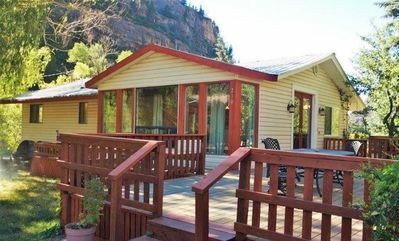 For summer guests there is a wonderful fenced yard with a beautiful lawn for enjoying some of Ouray’s wonderful summer days and evenings. 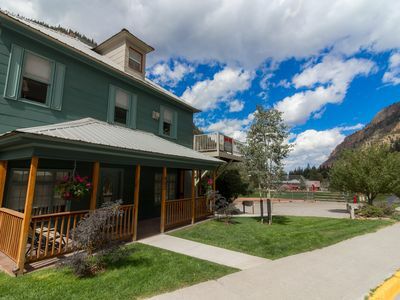 For our winter guests the home is located across the street from the river trail which serves as the Nordic skiing trail here in town & is 1/2 mile from the Ouray Hot Springs Pool & 2 miles from the Ouray Ice Park. 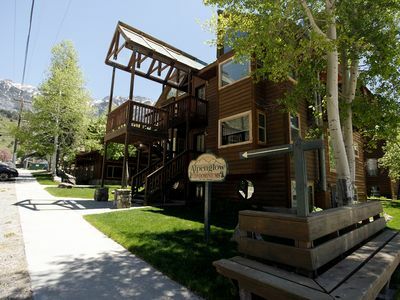 Surrounded by mountain views & natural river valley beauty, the Silvershield Chalet is a perfect place for a summer or winter getaway. 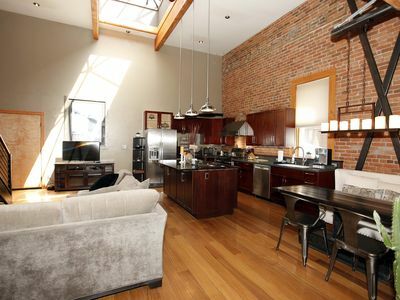 Welcome To The Ago Gallery Loft. 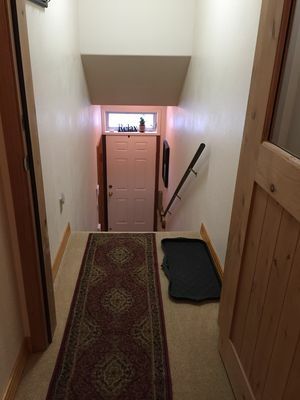 Spacious, Clean, Convenient Location. 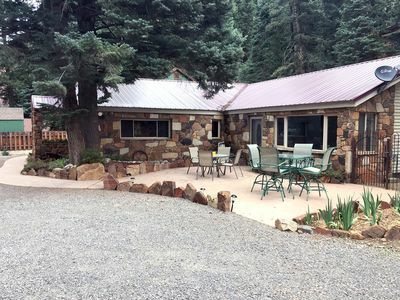 Stay & Play - Steps To Hot Springs & Restaurants….